Card network regulations are an important part of the ongoing effort to modernize chargeback policy. Some updates are minor, while others are sweeping regulation overhauls. All are meant to improve the process…but sometimes the revisions can make life more difficult for merchants. Understanding updated Visa chargeback regulations is the key to protecting your business from a flood of unanticipated chargebacks. So, let's look at some of the changes coming in 2018. To further increase security for Verified by Visa and to meet PCI compliance standards, Visa will require all clients to use TLS version 1.2 to connect to any VBV hardware. Effective January 28, 2018, Visa will be disabling the use of TLS versions 1.0 and 1.1, as well as 3DES cipher. After that point, secure connections to all VbV production hardware must be performed using TLS version 1.2 encryption. If your interface is not prepared for this change, you'll need to act quickly. In September 2017, Visa announced the release of Version 7.0 of the Acquirer Device Validation Toolkit (ADVT). Users were given until January 31, 2018, to upgrade from the previous version of the toolkit (6.1.1). While the initial cut-off date was extended until May 31, 2018, after that, use of ADVT Version 6.1.1 will not be permitted. Ongoing payments on a fixed schedule; music streaming is a good example. Storing card data to facilitate "one-click" payments. This can be used to provide "frictionless" transactions across channels. This is common for services with subscription payments (television streaming channels, for example) that also offer single-click payments other services, (like pay-per-view movies or sporting events). The implementation deadline for these new requirements is April 2018. After that date, all individual transactions must be classified as either "subscription" or "card-on-file;" in the case of the latter, merchants will also need follow the card-on-file transaction guidelines (available on Visa.com). Failure to comply with these new stipulations after the deadline could result in fines from Visa. Starting in 2015, Visa made policy changes that offered temporary relief to merchants during the transition to EMV technology. Under the new provisions, Visa prohibited chargebacks originating from counterfeit cards for transactions less than $25. Also, issuers were limited to no more than 10 chargebacks originating from counterfeit card fraud per account; beyond the 10 chargeback credit card and debit threshold, issuers assumed all responsibility for counterfeit card fraud. It's important to note that BOTH policies are set to end in April 2018, meaning merchants will soon face greater liability for EMV chargebacks. As of April 14, 2018, Visa plans to expand options for debt repayment. More specifically, cardholders in all regions will be able to repay debt with debit and prepaid cards. Delayed or installment payments used to purchase of goods or services when the terms of said payments are decided by the seller. This expansion will happen across all regions, and will coincide with more extensive refining of debt repayment rules in Australia, Canada, New Zealand, the U.S. and Europe. Specifics for these changes can be found Visa.com. One of the biggest changes—and one of the most talked-about—is Visa's new global dispute resolution process: Visa Claims Resolution (VCR). First introduced in 2016, the VCR initiative's implementation date in October 2017 was extended out to April of 2018. After that date, all disputes will be processed through VCR. The system is designed to streamline the chargeback process, which currently can take anywhere from a few days to months to resolve. Visa's goal was to reduce this resolution time, decrease chargeback costs, and lower the overall number of disputes received. In addition to making the process more efficient, the VCR initiative will make better use of Visa's internal data and introduce automation wherever possible. The timeframe for responding to a Visa chargeback drops from 45 days to 30 days. This should speed up the entire chargeback process; Visa predicts most case will be resolved within 31 days. Time will also be saved by Visa reducing the overall chargeback process to two distinct workflows: an Allocation workflow, covering Fraud and Authorization Issues, and a Collaboration workflow to handle Processing Errors and Consumer Disputes. The Collaboration workflow is basically the same as the legacy system, while the Allocation workflow introduces more automation and new policies; responses to Collaboration workflow chargebacks are allowed only with definite proof on the part of the merchant. In theory, invalid chargebacks should be caught by the automated workflows and stopped before reaching the merchant. The system will be simplified by recategorizing existing reason codes, removing some and adding others. The aim is to provide merchants with more accurate and effective information. The parameters for compelling evidence will see minimal changes. Payment industry insiders are in general agreement that chargeback regulation updates are necessary. 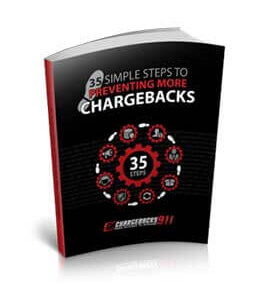 The chargeback processing system was created in the pre-internet era and has seen few modifications since its creation. The prevalence of friendly fraud is proof the system is easily manipulated for the cardholder’s benefit. The update to Visa’s chargeback regulations is no doubt a response to the growing concern of friendly fraud. It remains to be seen if the new regulations are able to streamline the process; at the very least, there will a period of transition as merchants learn to interact with the changes. If you’d like help interpreting and implementing Visa’s complex policies, let us know. Chargebacks911 offers both end-to-end accountability and on-demand services; whatever your needs, we can help.